There are several myths about New Homes that give many reasons why you can talk yourself out of needing a One-Year Builder Warranty Inspection. I had/have a great builder, my new home has already been inspected by the city/county and passed, nothing could go wrong because my house is new, and/or I had a home inspection before I closed on my house. Your builder may have great reputation, but your “builder” is usually a building superintendent who either hires several subcontractors to complete the process, or they hire a General Contractor who in turn hires several subcontractors for each specific trade. This creates a loose chain of accountability. Furthermore, due to higher profit margins, the best subcontractors for each trade tend to work in the remodeling/renovation sector and/or commercial construction. While your new home may have been inspected by a local building inspector prior to the house receiving its Certificate of Occupancy, these inspectors rarely spend that much time at the home due to heavy workloads and must rely and trust on the builder and their subcontractors to follow code and fix any issues. Plus, they do not check to see how the systems and components of the house work as a whole. While your house may be “new”, there are still many things that can go wrong with it. In many cases, it is not in the builder’s best interests to point these items out even if they notice them, as many of these issues may not get noticed for several years after the home was built. Most homeowners do not have the technical training or expertise to see many of the hidden defects. Lastly, even if you had a New Home inspection completed prior to purchase, over the first year, the systems of the house start to operate, and you start living in the house the way you live. The building materials will start to react to environmental and weather changes, and problems may start to appear that were not there before you moved in. Overall, this is a great opportunity to get a One Year Builder Warranty inspection as the builder is responsible for these defects. The cost of these repairs in most cases has already been factored in to the purchase price of the home meaning you have essentially already paid for these repairs. The cost of this inspection will far outweigh the cost of repairs that you may have to pay for in the future. 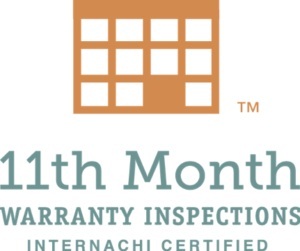 We recommend you have this inspection done 3-4 weeks before your Builders Warranty expires to give time for the Builder to may the necessary repairs.